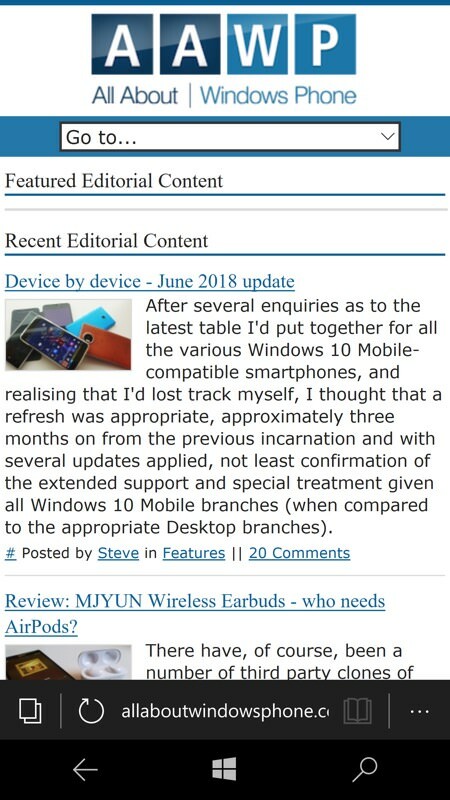 I've featured PAWA UWP a lot here on AAWP over the last six months and that's now a cracking solution for massaging HTML5 web sites and PWA into Start screen-launchable and full-screen form. 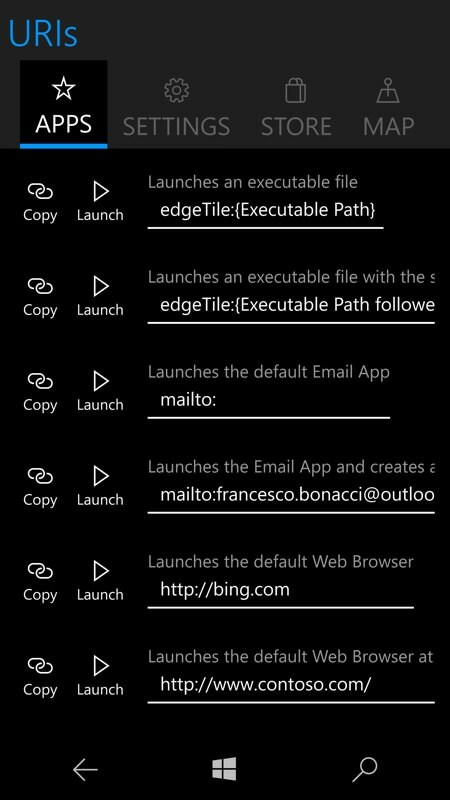 'edgeTile' UWP takes a more hands-off approach, concentrating on putting shortcuts on your Start screen in a more customisable fashion but stopping short at packaging sites themselves. Hence you still end up, for web content, with URL bars on-screen, taking up room. The upside is that edgeTile is more flexible, allowing the launching of other resources, plus you can 'save' your creations, as needed. The search for the ultimate Start screen is still something that many of us aspire to, fiddling with the optimum way to get access to everything we need in the fewest pixels possible and with the most attractive graphics. Or maybe that's just me. 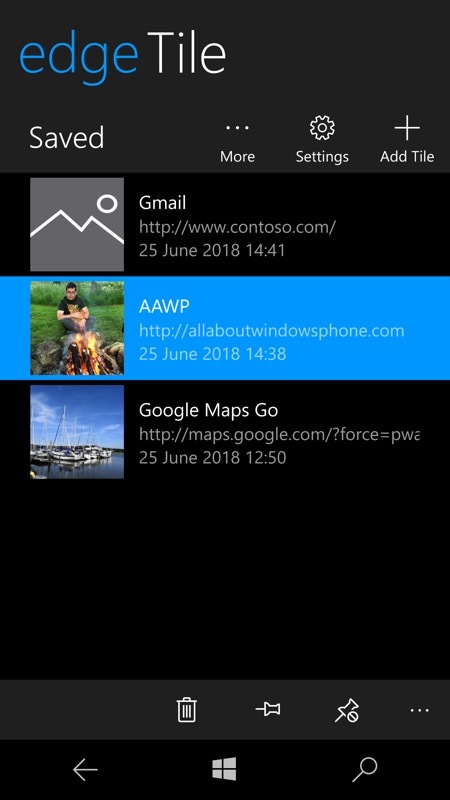 In any event, edgeTile UWP has been recommended several times in the AAWP comments and so I thought it finally worth a look. 'Contoso', by the way, is a Microsoft placeholder name - should you see it again in the future! Here I'm setting up a new tile with photos for each tile size and (right) name, URL, and so on. 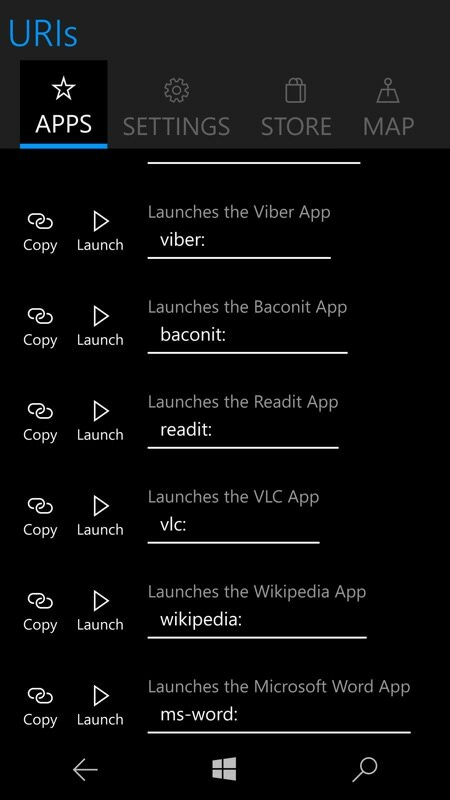 The end result is a nice set of Start screen tiles, see the bottom one on the left; (right) Tapping it brings up the URL in the the full Edge browser, complete with URL bar. 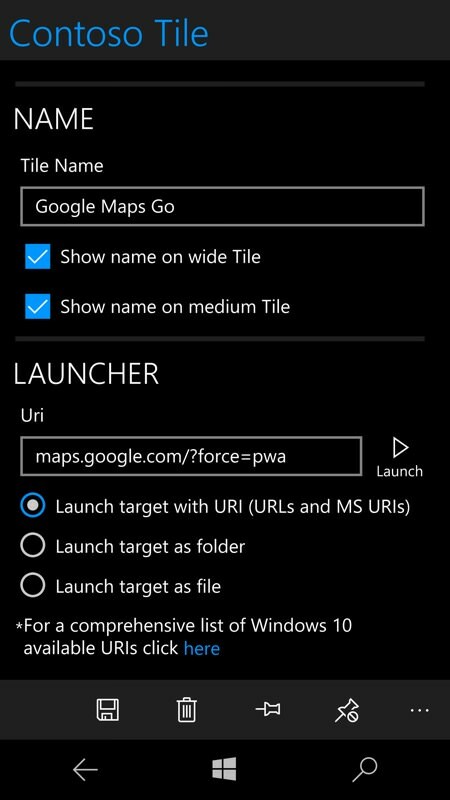 Another example, here setting up a nice shortcut to the Google Maps Go PWA. 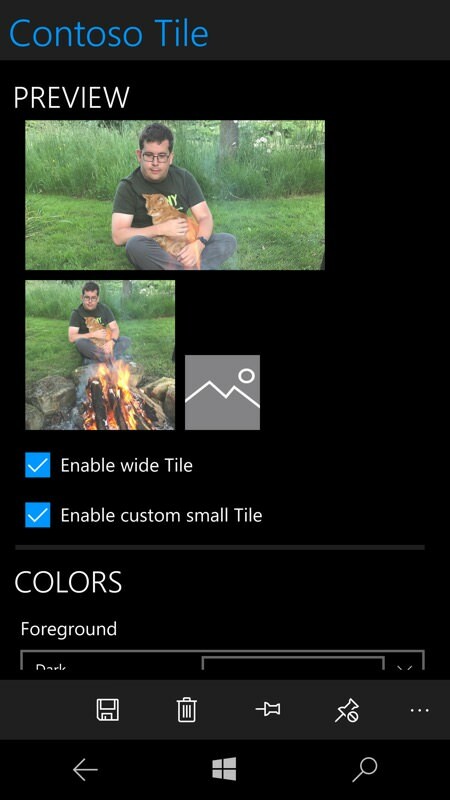 Note that with control over what appears, in terms of images and text, on each tile size, you have excellent control. However, edgeTile, despite the name, is about more than just launching the browser. It comes with a variety of browser presets and examples, but it also comes with shortcut strings for popular Windows 10 applications and Windows 10 internal settings - any of these can be launched or switched to from a Start screen shortcut. 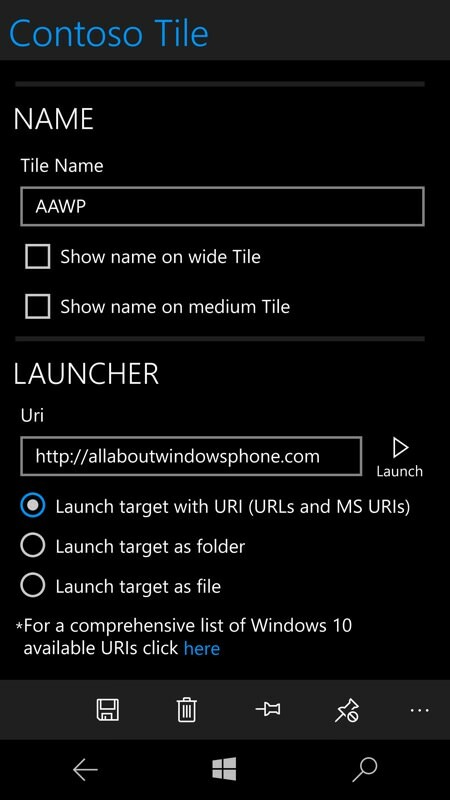 Of note in this polished UWP application is that your Start screen tile constructions are saved as you go. Meaning that you can revisit them at any point, make some changes, 'unpin' and 'pin' them again - which is a pretty unique facility in my experience of tile utilities. 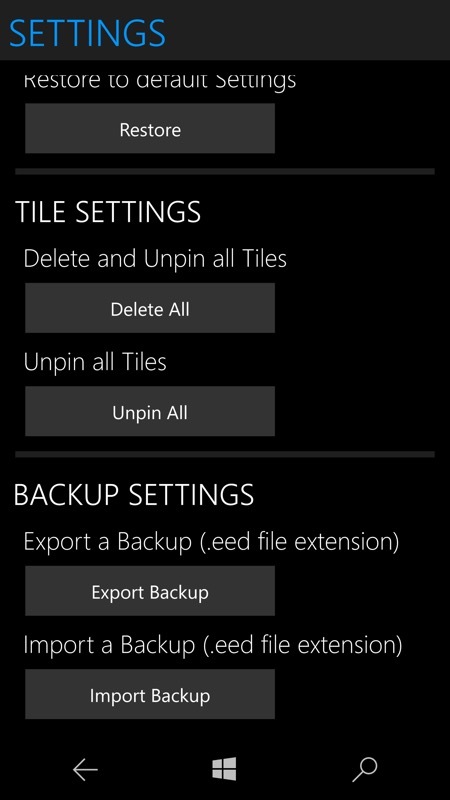 (right) Even better, you can backup your tile constructions (e.g. to OneDrive) and then restore the, in the future (for example, after a hard reset of a phone). Of course, all this may be over the top for you. And you can already pin web sites to your Start screen, in Edge itself, though with no control over the icon used - but I thought I'd mention it. And then there's the whole PAWA phenomenon. You can grab edgeTile UWP for free here in the Store. 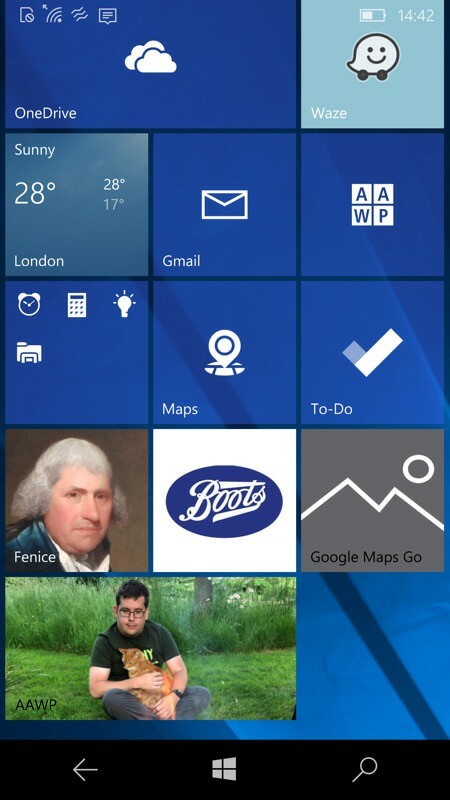 It may well be just the ticket for creating the ultimate power user Start screen! Comments welcome - you must have used edgeTile, PAWA or some other Start screen aid - so which one works best for you?